[markup=]2007 NANDAMURI NAMA SAMVATSARAM.All the best to Balayya Babu n whole Nandamuri family. [markup=]Seems to be some good sighns are happening. 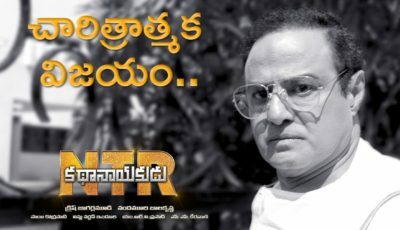 [markup=]NBK is greate actor for that type of films in todays. [markup=]I feel very happy . only BALLAYYA BABU can do that charecter. [markup=]if it was really done it will become a vrey nice movie. 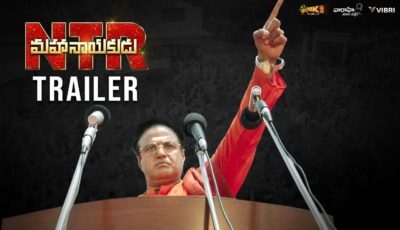 [markup=]as a fan of balakrishna i am very happy by hearing this news,i wish all the best to balakrishna,it wil become very good film for balakrishna. [markup=]GOOD NEWS_ BALAYYABABUKU MANCHI ROJULOCHAYEE, 2007 LO 3 DIFFERENT SUBJECTS CHESTUNNADU BABU.INNI ROJULU OKE MOOSA KADALU CHEYYADAM VALLA BABU KI FLOPS VACHAYYE.PERFECT GA KASTAPADITE PHALITAM DAKKUTUNDI.